Some places are hard to find but there is little land left in the world that is inaccessible. Whatever we can’t see on the ground, we can probably see on a smart phone. And, as modern life has encroached on indigenous tribes in the name of scientific research and through land grabs, there are precious few uncontacted communities left in the world. 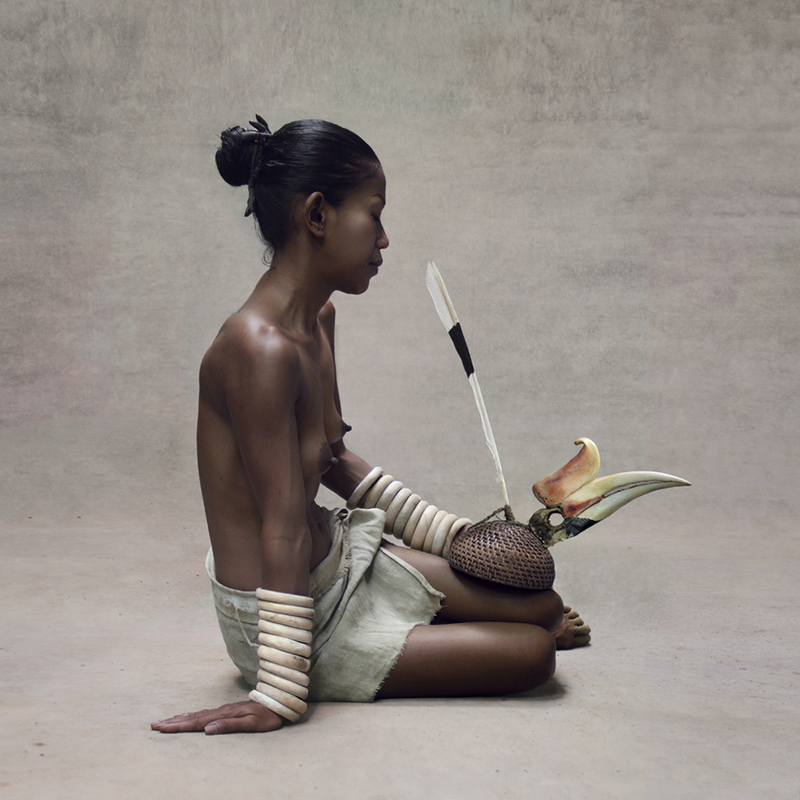 While we can’t return the land and people to being untouched, Indonesian-based, German photographer, Fred Stichnoth hopes that by capturing and sharing the tribes he encounters, it might increase our awareness to preserve these ancient civilisations a little longer. Growing up, Fred was always drawn to adventure movies set in tropical locations. “I love ancient themes, from Egypt to Indonesia. I’ve spent a long time travelling around the world, being drawn to what is considered taboo,” he says. So, it was a dream come true when he located from his native Germany to the Indonesian Island of Bali. From here he has been able to explore some of the remotest areas in the East Indies and the tribes that call these places home. A home that is fast disappearing, along with their customs, legends, ceremony and regalia. 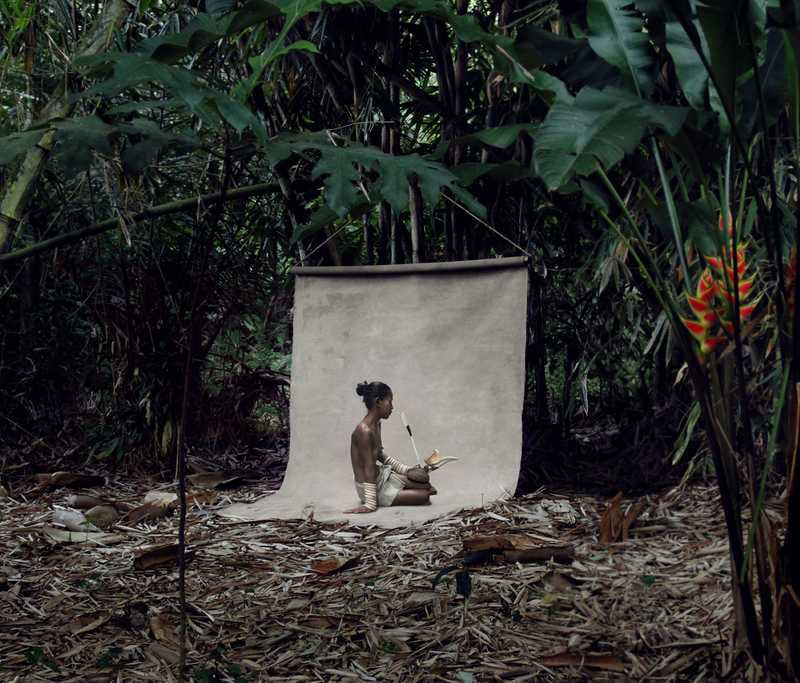 Elusive, beautiful and hidden, Stichnoth’s images from his East Indies Series are like birds of paradise. Catching sight of these rare creatures, documented in their natural habitat against neutral backdrops, they are fragile specimens to observe. They turn their heads and bodies away displaying bright plumage. Shy, even a little frightened, but allowing the viewer to admire their exotic beauty. 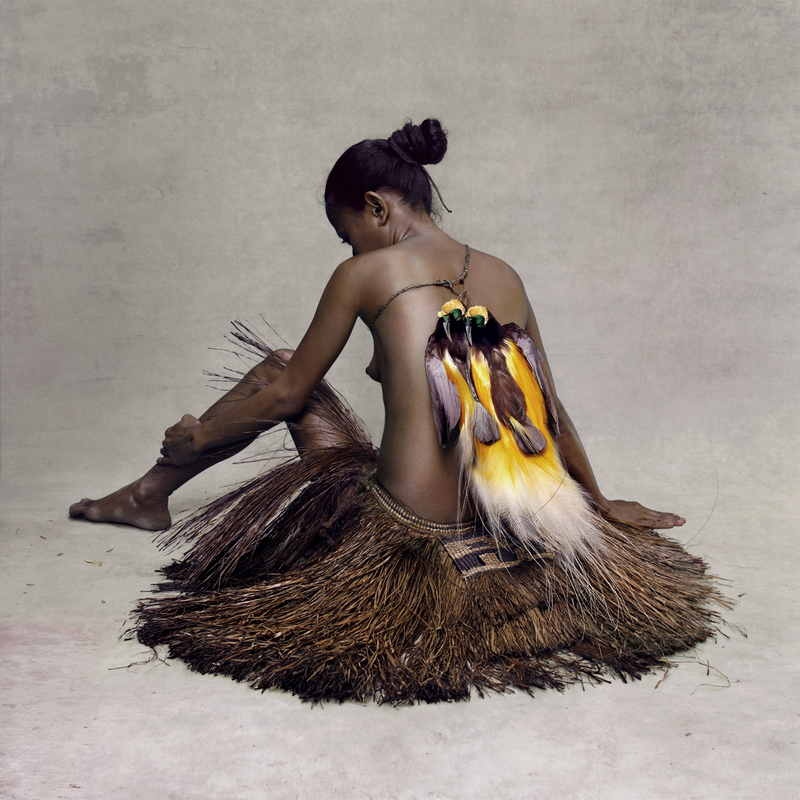 “Indeed, if you get too close though, it feels like they might fly away at any moment,” Fred agrees, explaining that it can take over eight weeks to prepare a shoot, earning the trust of tribes, understanding their customs and sourcing the correct motifs, sometimes creating headdresses himself guided by the keepers of tradition in each remote village he visits. The results are stunning. “The idea was to create a special sound,” explains Fred. “The attitude and positioning of the female subjects was very important. East Indies women are shy and tend to hide, they don’t look at you.” Shot on location using natural light, Fred employs classic techniques to create a study of his female subjects without the resulting picture feeling invasive. “Around 1860 photographers began using things like a simple bed sheet to create a neutral background. I followed this old idea so as not to disturb or detract from the main focus of the image,” he explains. What is achieved is a portrait of a woman that is at once delicate yet strong, vulnerable yet mighty. Pops of colour delivered through the use of the foliage featured are a counterpoint to the largely neutral palette. But it is a reverence for the colour of skin that is striking. Growing up, Fred Stichnoth was always drawn to adventure movies set in tropical locations. “I love ancient themes, from Egypt to Indonesia. I’ve spent a long time travelling around the world, being drawn to what is considered taboo,” he says. So, it was a dream come true when he located from his native Germany to the Indonesian Island of Bali. From here he has been able to explore some of the remotest areas in the East Indies and the tribes that call these places home. A home that is fast disappearing, along with their customs, legends, ceremony and regalia.